Mahabhulekh is the term maha-bhumi-abhilekh (Maharashtra Bhumi Abhilekh) is the one of the best online Land Record software system developed by National Informatics Centre (NIC) for the state of Maharashtra associated with Maharashtra Revenue Department. This system contains complete land records in the state of Maharashtra – 7 12 Utara online and also to provide Smart Property papers to respected land owners. By using this service people can excess their Mahabhulekh land records anytime at sitting home. Here we would help to guide, how to use Mahabhulekh online software so you easily get the records. What is Satbara Utara (7 12) ? It is the abstract from the Land Records Register for any land which describes the ownership and other details related to the land. It contains the following information – Village, Taluk, District, Name of Owner(s) and their shares, Type of land, Area, crops & cultivation details, tenancy details, loans & liabilities and any other rights. Why Satbara Utara is required? Serves as proof of land title. To know genuineness of seller (owner) when land is being purchased. Satbara Utara (7/12 Utara) is required at Sub-Registrar’s office when sale transaction is being done. Court needs land record proofs in case of any civil litigation. 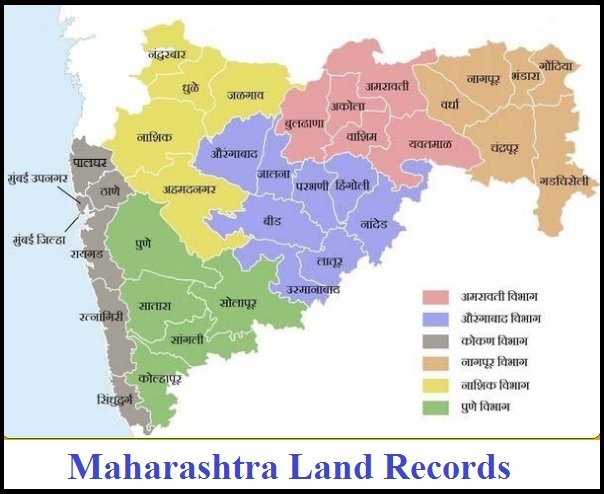 Visit to the official website of www.mahabhulekh.maharashtra.gov.in and click to the first option of Get the Maharashtra 7/12 Online Land Records (महाराष्ट्र राज्यातील 7/12 पहाण्यासाठी जिल्हा निवडा). The option will provide you map in the display as the below given image on mahabhulekh portal where you have to select the district name. For example you want to check the land record for PUNE then click on it. The page will automatically redirect you to http://pune.gov.in/webrcis/aspx/saatbara.aspx section after your click. This section has been made for Pune only same like this all district sections are given on the portal. After all the above mentioned process you also can click to the print option on mahabhulekh page by near of show 7-12. Through all these you can get complete information about the property and land. Same like this process you are able to check the land records for all districts. If you need more help contact to department Office of Settlement Commissioner and Director of Land Records 3rd Floor, New Administrative Building, Opposite to Council Hall, Pune. You also can contact through phone in 26050006 after using std code 020 or send your mail in dlrmah.mah@nic.in. Online 7/12 land record of Maharashtra not provide the official copy of record. Citizens can use the online copy only for personal use. If you are not able to find the details for your location / area then contact to the department person. Mahabhulekh.net is not an official site of mahabhulekh for official site you visit on http://www.mahabhulekh.maharashtra.gov.in/ This site is reference site made to help people to get and download their 7 12 online by using this site if find any query please drop a comment. All the land records of Maharashtra state are found on the mahabhulekh.maharashtra.gov.in site which is run by government of Maharashtra. The purchaser who want to buy any of land in Maharashtra state for those it is necessary to know the details of that land completely. People who have registered land under government and who need to check their land status in the state revenue department they can get their status with fresh details from that department. Maha bhumi abhilekh is an evidence which is the property on sale is free from mortgages. Here in this article we are providing the step by step guide to download your land record from the official site named mahabhulekh in terms of satbara (7/12). Bhumi Abhilekh is a place where all the records of lands of Maharashtra state are available, People who are looking for Land Records in Maharashtra state those can check and download the same with this portal. In this article we have provided how we can see and download the 7 12 online or 7 12 Maharashtra land records. The one who are seeking for the 7 12 Utara those can read the full article of the Satbara Utara. 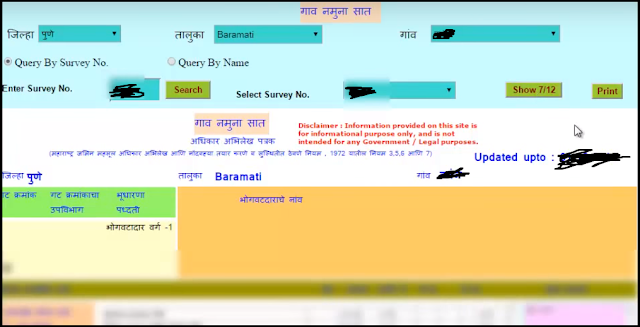 Mahabhulekh Maharashtra Gov has released the official web portal, the people who want to know more about “SATBARA” Online visit the official government website of Bhumi Abhilekh 7 12 to check their land records. In this article we are showing how to download the 7 12 utara online, so read the whole article carefully and get your details about Bhulekh Maharashtra. Buyers who are really going to purchase the land in Maharashtra state they must check the land details of that property (like first holder of that land, current owner of the land). The all the land records in Maharashtra is also known as 7/12 (Satbara) utara. The 7 12 is a register number which is obtained at revenue department of that state/tehsil. 7/12 Utara is generally mentioned as an abstract from the Land Records register for any type of property. In this article, we have cleared how we can download and see the Satbara Utara Online with step by step guide. Step 1: At first visit the official website of the mahabhulekh which is run by government of Maharashtra. 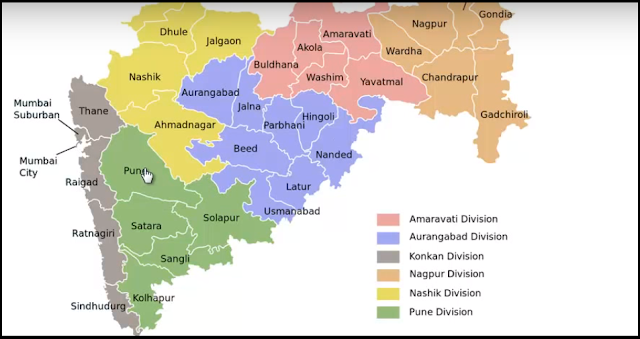 Step 2: Now select the district on a home page of that official site, for example if you selected pune as your district, it will open pune districts land records. Step 3: Here you can search the land records by entering survey no, or by name. Enter survey no. of your land and then click on search button. After that select the survey number and then click on “show 7/12” button to access the 7 12 utara report online. Step 4: Your 7/12 (Satbara) or land records are made available online only to provide the details of that land. If you want an official copy of that land then please visit on nearest taluka office pay the fee according to government rule and get the copy of that satbara. Hello everyone we just collected all the district wise officials sites to get your online satbara utara 8a utara what you have to do is simply find your district in following table front of that official site is provided copy it and open in your browser to download 7 12 online utara online for free.